Dubai, UAE, May 30, 2018: The Board of Directors of the Central Bank of the UAE held its 4th meeting for 2018 at 10:00am on Sunday, 27th May 2018, at the Central Bank Head Office – Abu Dhabi, under the chairmanship of H.E. Khalifa Mohammed Al Kindi, Chairman of the Board. The meeting was attended by H.E. Khalid Juma Al Majid, Deputy Chairman, H.E. Mubarak Rashed Al Mansoori, the Governor, and Board members; Their Excellencies Younis Haji Al Khoori, Khalid Mohammed Salem Balama, Khalid Ahmad Al Tayer, Hamad Mubarak Buamim, as well as by Their Excellencies Mohamad Ali Bin Zayed Al Falasi, Deputy Governor, Saif Hadef Al Shamsi, Assistant Governor and a group of senior Central Bank staff. The Board reviewed a presentation regarding the CBUAE Dashboard. The Dashboard will allow CBUAE management to review the performance of the sector continuously, as well as CBUAE's internal performance. The presentation also included the actual results of the key performance indicators of Q1 2018 as a pilot launch of the Dashboard. Financial Sector Master Plan (2018-2028). Internal controls, compliance, and internal audit at the banks. Financial reporting and external audit at the banks. 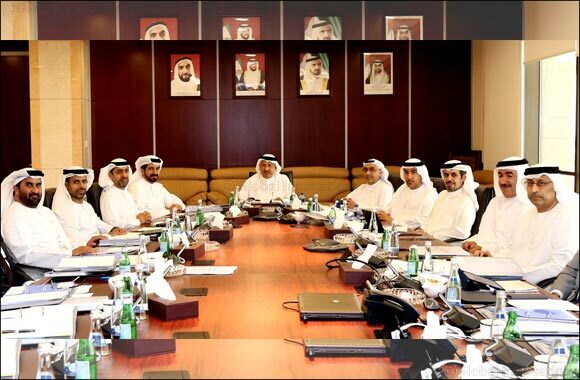 The Board also reviewed a report regarding the development of the National Payment Systems Strategy in the UAE. The Board reviewed Central Bank's Q1 Report for the year 2018. The report covered international economic developments, domestic economic developments, financial stability indicators, banking liquidity, monetary reserves management, and payment systems developments. The board instructed publication of the report on the Central Bank's Website.